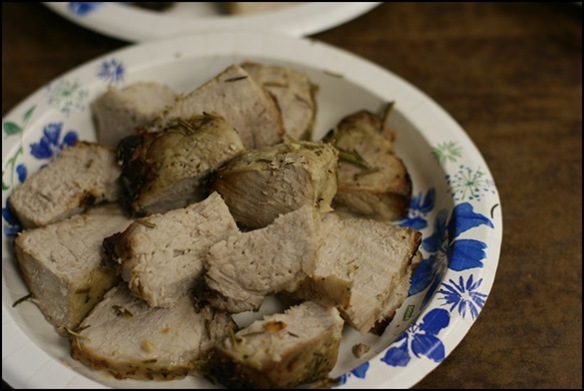 Pork tenderloin is one of my dinner favorites, but I don’t like buying the pre-marinated tenderloins because they’re SO salty. As for this marinade? No salt necessary — just deliciousness. It’s super simple to make, too! 1) In a bowl, combine all ingredients except the pork to create the marinade. 2) Put raw pork and marinade mixture in a large ziplock bag; refrigerate at least 30 minutes (or overnight, if you want) to let flavor set. 3) Preheat oven to 350 degrees. 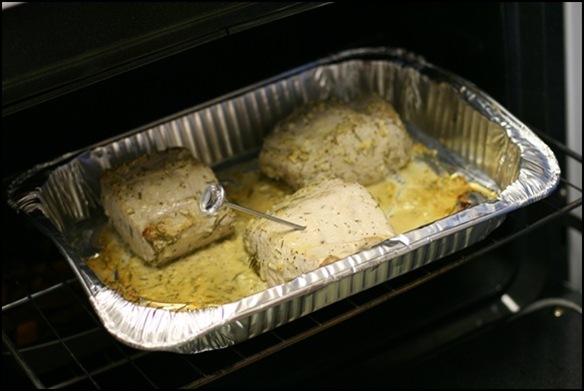 Spray a baking dish with non-stick cooking spray and pour pork and marinade into the dish. 4) Bake, uncovered, until an instant read thermometer reaches 160 degrees (about 40—45 minutes). Let stand for 10 minutes before slicing. Enjoy! I have been stalking this recipe since you first posted it, and really want to give it a try tonight. My boyfriend doesn’t like mustard…any ideas for a substitute?? Thanks! Hmmm… the mustard kind of makes this dish – I’m not sure I would make it without! It doesn’t take a lot like mustard, though, so maybe he would be okay with it?